Those having a bad round of golf often attribute their lack of success to poor judgment and mental mistakes rather than poor physical conditioning. But the golfers who consistently finish high on the leader board know that both mental sharpness and great physical conditioning are needed. During their workouts, today’s pro focuses not only on technique and timing, but also weight training to get the results they are looking for. Those that think pro golfers don’t need great strength have never seen an elite player rip a ball out of the deep rough and send it whistling right on to the green! Many on the pro tour have turned to jogging and regular workouts that includes golf supplements like Stemulite Fitness Formula to get the most out of their routine. Although golf is not a contact sport, the pro golfer can take a beating. Having to muster all their strength into one fluid motion taxes the entire body as every muscle is used to its capacity. Even a short put requires a great deal of strength and steadiness. R-Lipoic Acid (R-ALA) and L-Carnitine Amino Acid, both found in Stemulite Fitness Formula help release the energy stored in the body during performance and also aids in muscle repair during periods of rest. To keep their mind sharp, the players turn to all natural ingredients such as the eggplant extract found in Stemulite Fitness Formula sports supplements. Many pros state that without that mental sharpness allowing them to focus entirely on setting up the next shot, they are more likely to be aware of being surrounded by hundreds of people watching their every move. And once their concentration is lost, even for a split second, the next shot usually goes awry. The players on the tour know it’s important to use a sports fitness supplement to maintain the stamina needed to succeed. Fitness formulas that come in a binary dose (taken in the a.m. and p.m.) like Stemulite are designed to make the best of the body’s natural rhythm and cycles. Without a good night’s sleep, the next day on the course could become a disaster. 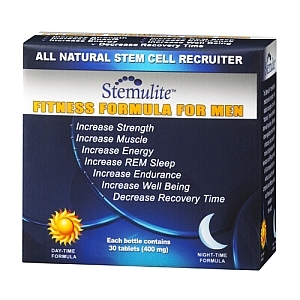 Stemulite Fitness Formula includes natural ingredients such as Melatonin and Indium that allow for the restful, rejuvenating sleep needed to take on the day. If you’re still wondering whether the pro golfer is an athlete, watch the next stop on the pro tour and decided for yourself! 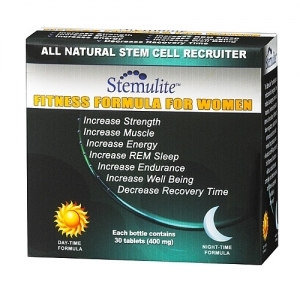 Try Stemulite Fitness Formula fitness supplements today and receive free shipping.